A group of Massachusetts Institute of Technology students may have come up with the perfect solution to our electric vehicle charging woes. Instead of relying on lithium or nickel, the new battery design stores its electrons in semi-solid flow cells. Charged particles are suspended in an electrolyte solution and pumped between compartments used for storing or releasing energy. The tech supposedly makes the batteries up to ten times more efficient than their traditional counterparts, and even more importantly, the new tech is cheaper to produce. Estimates say that the design could cut the size and expense of current batteries by as much as 50 percent. General Motors Co. will add two shifts and about 2,500 hourly and salaried workers to its Detroit-Hamtrack plant to build the Chevrolet Malibu and next-generation Impala, officials say. This morning, the Detroit automaker officially made the announcement as part of its plan to create or retain about 4,000 jobs and invest $2 billion in 17 manufacturing facilities in eight states. GM says it will invest $69 million into retooling for the new production of the Impala, which joins the extended-range electric Chevrolet Volt and the upcoming Chevrolet Malibu at the facility. The jobs will be filled by laid-off UAW members with the possibility of new hires to follow, according to GM. 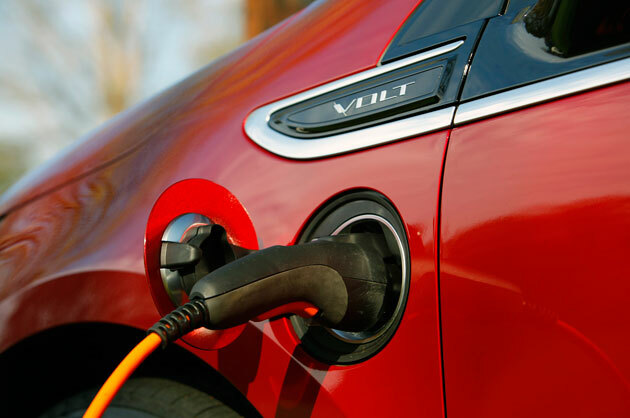 The Electric Power Research Institute (EPRI) has published a basic consumer guide that addresses questions pertaining to electrified vehicle technology and performance. The eight-page guide, “Plugging In: A Consumer’s Guide to the Electric Vehicle,” defines common terms associated with electrified automobiles and compares the driving range, charging times, fuel requirements and effects of weather for these three types of electrified vehicles; conventional hybrids, battery-electrics and plug-in hybrids. Consumers need a starting point – basic information to help them evaluate their options as they consider purchasing electric vehicles. This guide is intended to answer some of the most common questions that may help them with their decision. Click here (pdf) to download “Plugging In: A Consumer’s Guide to the Electric Vehicle” free of charge. PALO ALTO , Calif. – (April 26, 2011) – The Electric Power Research Institute (EPRI) has published a basic consumer guide that addresses questions about electric vehicle technology and performance. With a variety of electric and hybrid technologies now available commercially, potential buyers are looking to understand which options might best match their needs. The eight-page guide, “Plugging In: A Consumer’s Guide to the Electric Vehicle,” defines and briefly compares driving range, charging times, fuel requirements and effects of weather and driving conditions. It also highlights vehicles available for purchase today and models scheduled to be available later in 2011 and in 2012. A question and answer section explores and answers a number of the most common questions asked about electric vehicle technology compared to hybrid and plug-in hybrid electric vehicles. Charging and purchasing considerations are among the topics covered in this section. The guide offers a basic overview of hybrid vehicles, plug-in hybrids and electric vehicles, and is not intended to be an exhaustive report about the technologies or the manufacturers and vendors supporting this industry. The Electric Power Research Institute, Inc. (EPRI, www.epri.com) conducts research and development relating to the generation, delivery and use of electricity for the benefit of the public. An independent, nonprofit organization, EPRI brings together its scientists and engineers as well as experts from academia and industry to help address challenges in electricity, including reliability, efficiency, health, safety and the environment. EPRI’s members represent more than 90 percent of the electricity generated and delivered in the United States , and international participation extends to 40 countries. EPRI’s principal offices and laboratories are located in Palo Alto , Calif. ; Charlotte , N.C. ; Knoxville , Tenn. ; and Lenox , Mass. Pretty cool – all you have to do is go to Google Maps and type in ev charging station near [fill in location]. I tried it with Detroit and found 5 of them – more than I expected.